Central hypoventilation syndromes are complex congenital or acquired conditions resulting from inadequate central respiratory drive. Affected individuals cannot adequately match ventilation to metabolic demands minute to minute, and thus develop alveolar hypoventilation. Mild hypoventilation may occur during sleep only, but life-threatening hypercapnia can occur during both sleep and wakefulness, and may be associated with significant hypoxemia, as well as with obstructive apneas and central apneas. All patients suffering from hypoventilation usually require assisted ventilation for management of their chronic respiratory failure. Options for ventilatory support include positive pressure ventilation via tracheostomy, noninvasive positive pressure ventilation, diaphragm pacing or negative pressure ventilation. 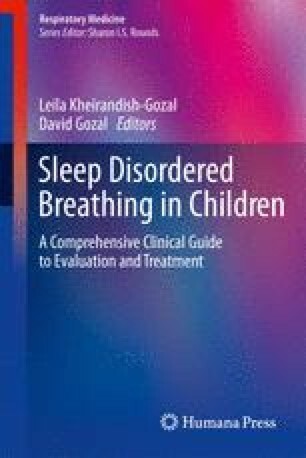 Choice of the ventilatory support depends on the severity of the alveolar hypoventilation, any ­coexisting disabilities, the prognosis of the underlying disorder, and patient and ­family preferences.